Navaratri Puja, London Hampstead (UK), 23 September 1984. Sahaja Yogi: They’ve gone out to get some batteries for the mike. 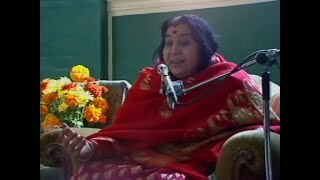 Shri Mataji: All of them should come and sit in front, all the children, the girls, or at the back in the chair.